Toolbox Archives - Page 3 of 79 - Mechanical Hub | News, Product Reviews, Videos, and Resources for today's contractors. 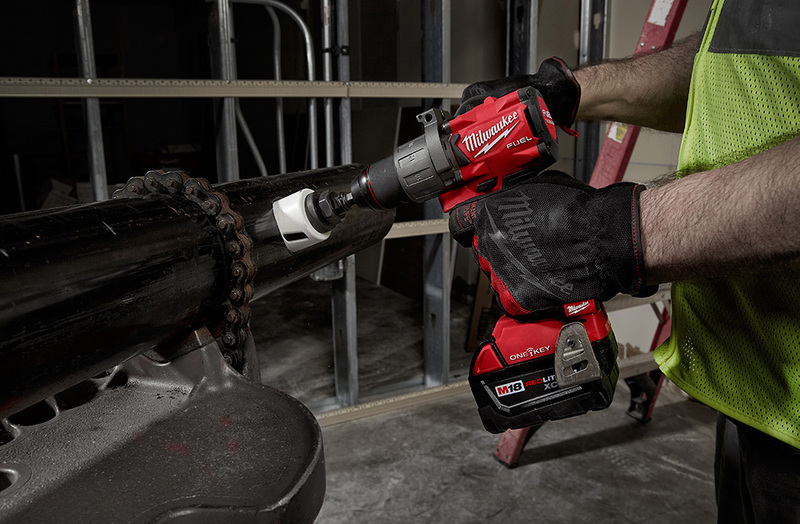 Milwaukee Tools is adding to their already stout shop storage catalog with three new heavy duty options. Way back in 2015 we saw the first entry into Milwaukee’s shop toolbox lineup with the 46″ steel storage chest, see that here. Today we learned about two new mobile workbenches and a new 56″ high capacity steel storage chest. Here are all the details we have at this time, if possible we will share reviews in the coming months. Available with either a wood or stainless steel top, the new 40” Mobile Work Bench is built with heavy duty 18-gauge steel, a reinforced frame, and 5” industrial casters for ultimate durability. The work bench’s 6 drawers include a 100lb soft close feature, a large bottom drawer, and a total weight capacity of 1,800 lbs. For added utility, the work bench also features tool organizers, a bolt-on utility shelf, a built-in power center for instant access to power. The new 56” High Capacity Steel Storage Cabinet & Chest is built with heavy duty 18-gauge steel, a reinforced frame, and 6” industrial casters for ultimate durability. The Storage Cabinet & Chest’s 18 drawers include 150lb soft close slides, two large bottom drawers, and a total weight capacity of 3,000 lbs. These drawers are also deeper than Milwaukee’s other steel storage options, with a peak depth of 22” for additional storage space. For added utility, the work bench also features tool holders, a folding utility shelf, a built-in power center for instant access to power, and USB ports. 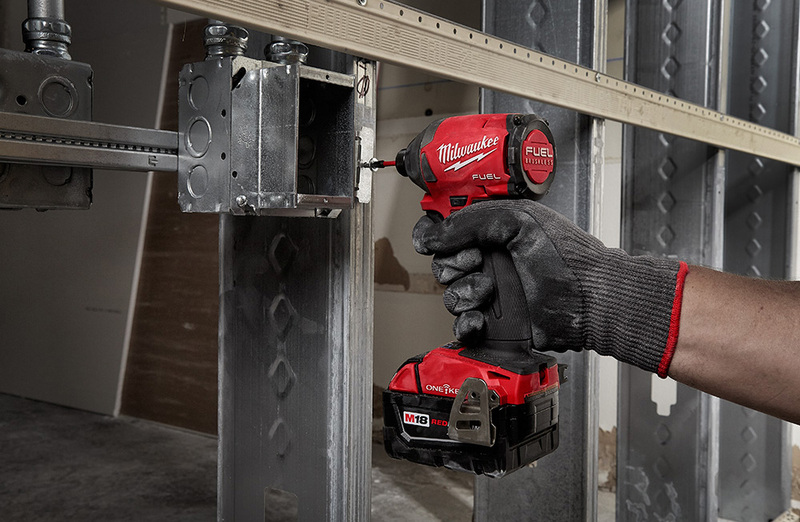 Unique to this unit is an electronic lock for secure storage of tools without the hassle of a key. Both units will be available at select distributors in January. The 60V MAX* Dust Extractor runs off of DEWALT FLEXVOLT Batteries and is an efficient and portable way to be OSHA Table 1 compliant** on the jobsite. For concrete drilling and grinding/cutting up to 5-inch wheels, the 60V MAX* Dust Extractor achieves 125 CFM. Featuring Wireless Tool Control that gives the user the option to activate the extractor from a few feet away using the included remote. Additionally, the 60V MAX* Dust Extractor offers an automatic filter cleaning mechanism. The new Gen-Eye X-POD® from General Pipe Cleaners features a powerful new Command Module with USB port to record video inspections on flash drives. The full size X-POD features a self-leveling color camera and 200 ft. Gel-Rod® for inspecting 3” to 10” drain lines. The compact Mini-Reel carries 100 ft. or 200 ft. of Gel-Rod with mini color self-leveling camera for trouble-shooting 2” and 3” lines. The rugged steel frames and reels include a drag brake and reel lock. The full size reels sport 10” wheels. For additional information, contact the Drain Brains® at General Pipe Cleaners at 800-245-6200 or 412-771-6300, or visit www.drainbrain.com/geneye.